“From left, Bellevue Literary Publisher Jerome Lowenstein, MD, Editorial Director Erika Goldman, and Editorial Assistant Leslie Hodgkins.” (Now he serves as the Nonfiction Editor for Bellevue Literary Review. Image: NYU Click for more information. form that he had received from the Veterans Administration. was not aware of a connection between Agent Orange and coronary heart disease. He provides an overview on Agent Orange and then explains some of the biological processes on humans. This essay (with references) has been buried in the massive amount of medical research online but it deserves to be read and tweeted about! I am grateful to this man for his practice, research, kindness–and for going the extra mile for veterans with his thoughtful essay. It took about two years for his patient to receive compensation and I have no doubt that he would still be on the hamster wheel if Dr. Lowenstein’s stellar reputation and comments were not a deciding factor. What VA examiner would dare contradict Dr. Lowenstein? Related: NOVA Disability attorneys Matthew Hill & Carol Ponton discussion on AO and kidney disease. The connection between AO, diabetes and kidney cancer as secondary to DMII and ischemic heart disease as a presumptive AO disease. “…You need to find a doctor who will look at the medical research, specifically, the chemicals you were exposed to. Anything that happened after service. Like, environmental exposures, or anything that you had hereditary. Meaning, somebody in your family had something similar. If you can role [sic] those out, show that’s service connected. There’s actually a huge piece of evidence out there, provided by the VA*…. have your doctor use that to write a link for you, showing that’s related. *They refer to a Louisiana VA Medical Center study I haven’t located yet. This entry was posted in Agent Orange, AO, Food for the soul, Food for thought, General Messages, Guest authors, Medical News, Nexus Information, non-va care, Vietnam Disease Issues, Vietnam War history and tagged Agent Orange, Disabled Veteran, ischemic heart disease, VA NEXUS LETTERS, Vietnam Veterans Claims Help.. Bookmark the permalink. 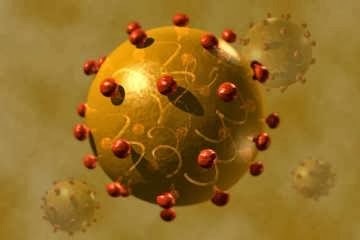 The PDF also mentions an increase in Melanoma. I’ve looked unsuccessfully for studies linking AO to Melanoma. Anyone have useful information about that? one don’t buy the cellphone theory, especially when patients like Sen. McCain did rough time in Vietnam. Maybe the VA will say he wasn’t exposed to AO. 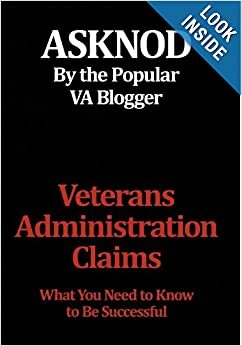 This is the case of a Veteran who got service connection for melanoma caused by Agent Orange. He also used info saying Agent Orange is a potent carcinogen. Here’s one of those…. You’re not going to find a study saying Agent Orange causes melanoma in those exact words. But there are other ways to prove it. Then you prove that POLYCHLORINATED BIPHENOLS cause MELANOMA.